The Medison SonoVet R3 ultrasound system is a full color, veterinary ultrasound adapted and designed for the unique needs and applications required for both advanced and general veterinarian studies. Including a Full-Featured Workflow ideal for any setting and with full diagnostic capability, this compact, user-friendly ultrasound delivers superior imaging as well as optimal efficiency and productivity. With regards to imaging, the SonoVet R3 features a Speckle Reduction Filter™ (SRF™) combined with Full Spectrum Imaging™ (FSI™), harmonic imaging, and pulse inversion technology, all of which provide enhance contrast resolution between different biologic tissues. Having such power in your ultrasound enables faster image studies and increased diagnosis accuracy and confidence. The SonoVet R3 has a slim and compact design with a wide-view, 15-inch LCD monitor and customizable measurement packages and body markers. 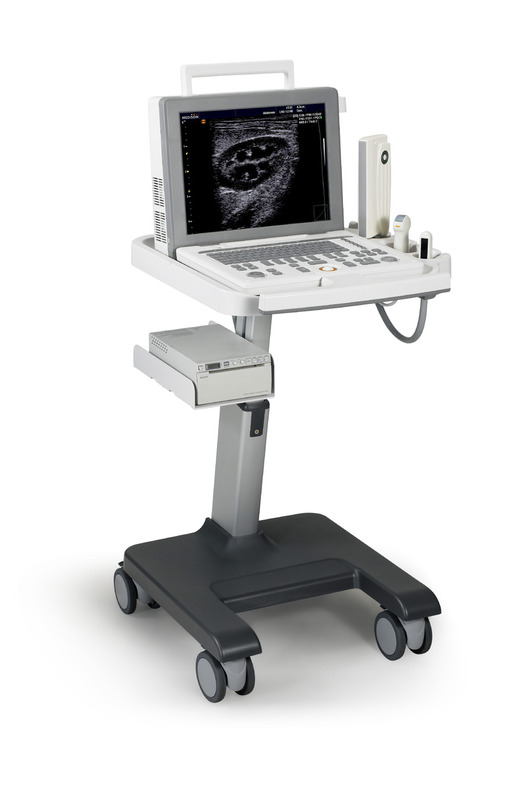 To further enhance efficiency, this ultrasound includes 3 USB ports, 2 probe ports, and DICOM 3 compatible image filing.